Welcome to ADI NewsFeed, monthly inbox news and tools developed to bring you a focused look at what matters most. 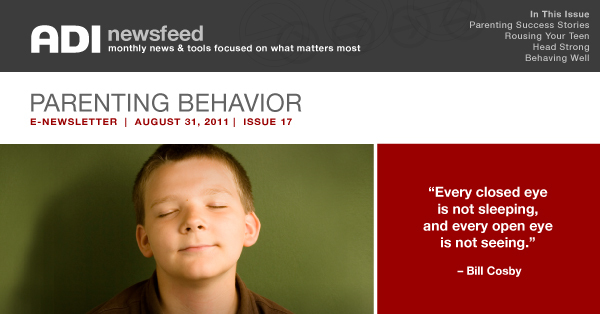 This month we’re looking at behavior outside of most workplaces: parenting behavior. The following articles and resources have been selected to help parents understand how to bring out the best in their children by applying behavioral science tools and principles. Look for upcoming newsfeeds to cover topics such as performance improvement, workplace ethics, training resources and more.